Ferney is a place where nature and food come together. Most of our products are sourced locally with local farmers and producers. 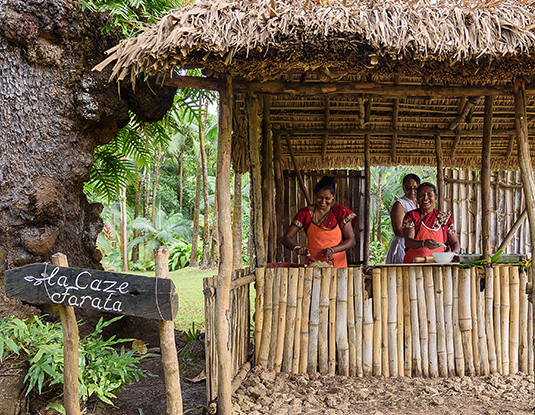 Come experience the simple yet tasteful local cuisine of our chef in one of our magnificent locations. 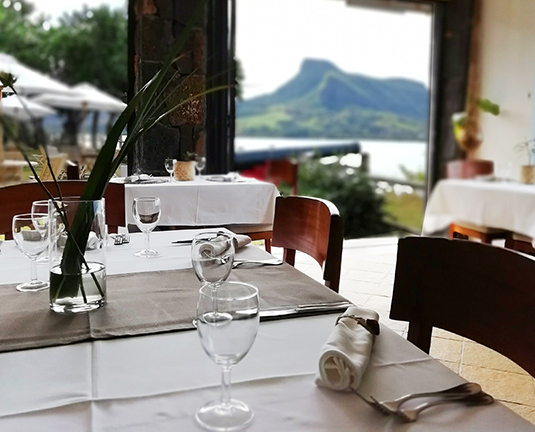 Located 2 minutes away from Ferney La Vallée, Ferney Falaise Rouge restaurant is just off the sea cliff and offers an incredible sea-view facing the Grand-Port bay and Lion Mountain. The restaurant can serve up to 60 guests every day for lunch and is also the perfect spot for private events. Bookings are recommended, as the restaurant may be closed for private functions. Available to groups of 10 individuals or more, enjoy a Farata Party in Ferney luxurious coffee garden. A blend of historical charm and contemporary style, Ferney Nature Lodge is perched in the middle of lustrous valleys and breath-taking forests. 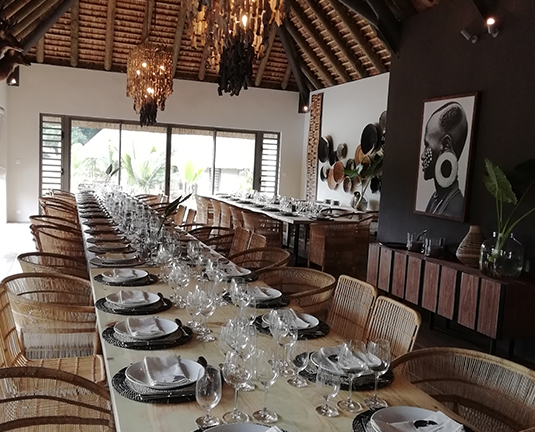 The lodge can accommodate up to 50 guests for private lunches or dinners. 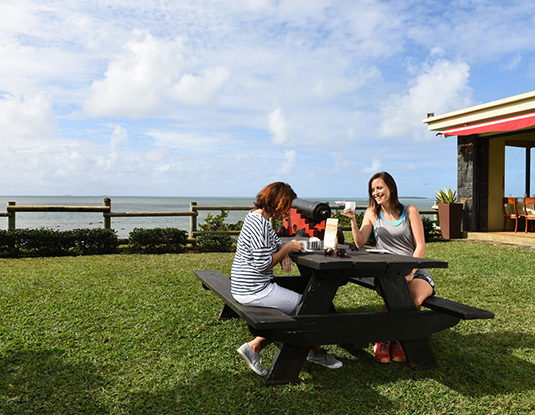 Rediscover the charm of a picnic surrounded by a beautiful scenery. Our team can organise a picnic for your friends and family, upon request.